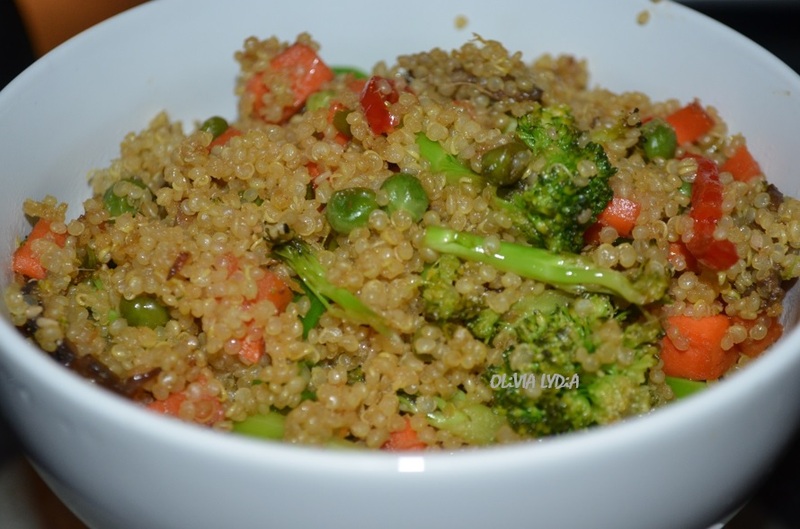 Six-Veggie Quinoa Stir Fry – Olive For Greens. Traditional Stir fry is made with rice, right? White [bleached] rice made brown with [gluten] soy sauce. 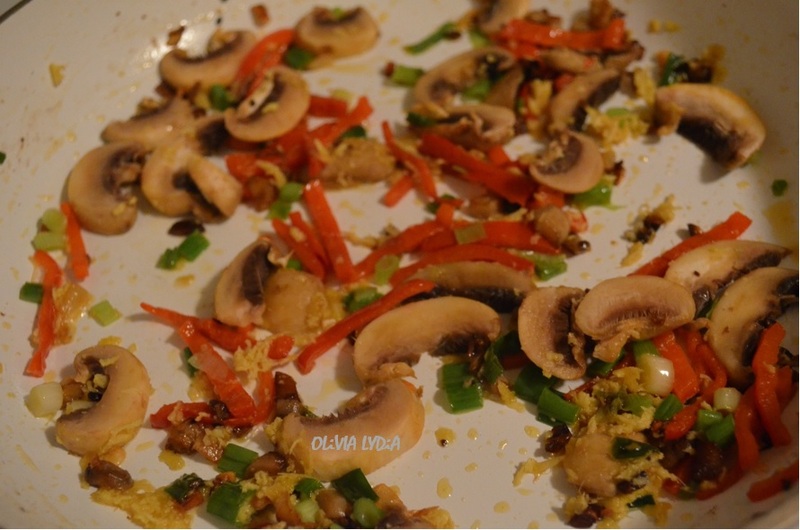 Okay, so some people use actual brown rice when making healthy stir fry. But what about quinoa?! 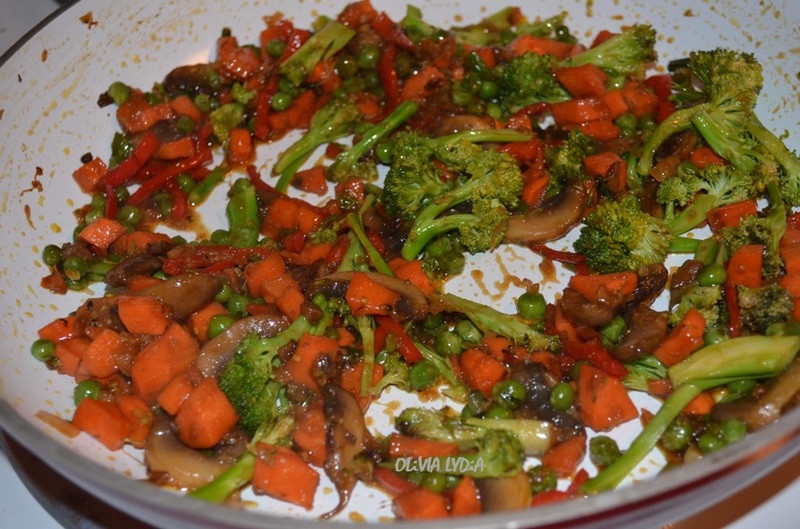 This is a healthier gluten-free way to enjoy stir fry without compromise of flavor. 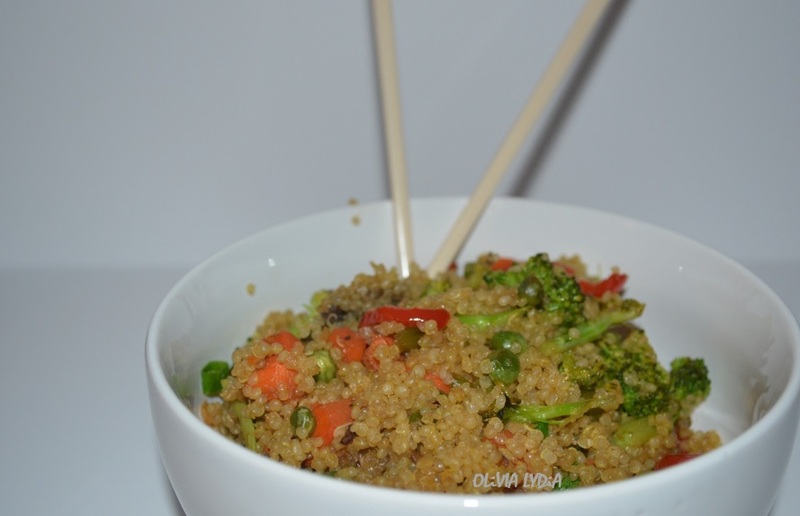 Plus, if you’re looking for a new quinoa recipe, here you go! 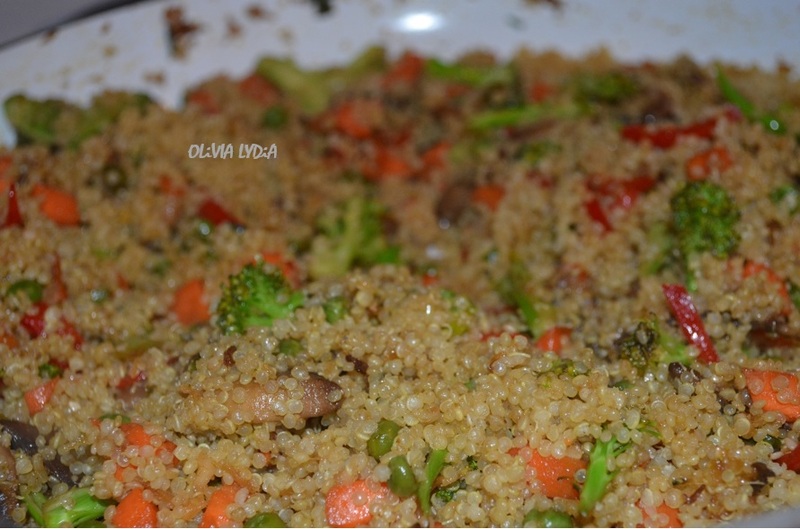 Cook the quinoa in the vegetable broth. 1. 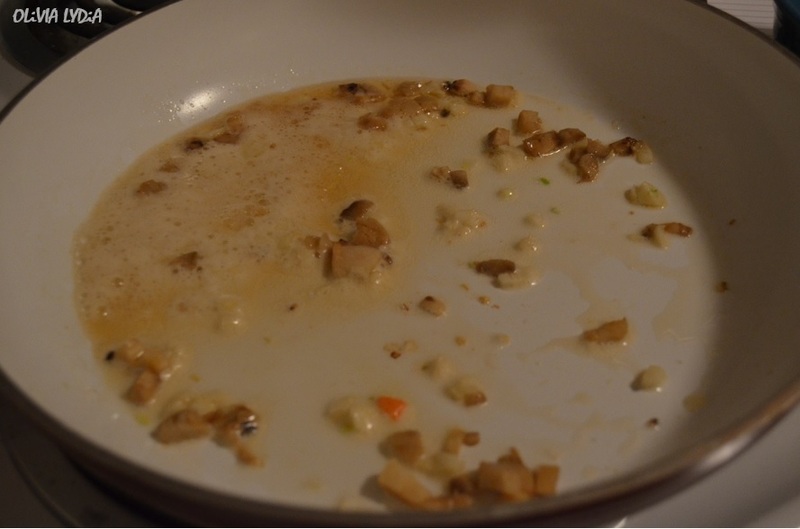 In a large non-stick pan, add both oil, diced mushroom stems and garlic. Sauté on medium until golden. 2. 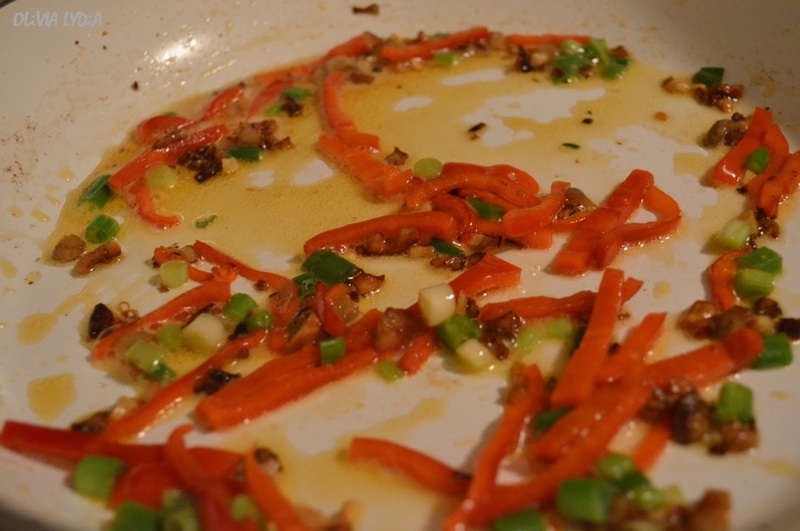 Add the red peppers, white onion parts and half of the green parts. Sauté for about 1 minute. 3. Now add ginger and mushrooms. Sauté for another minute. 4. 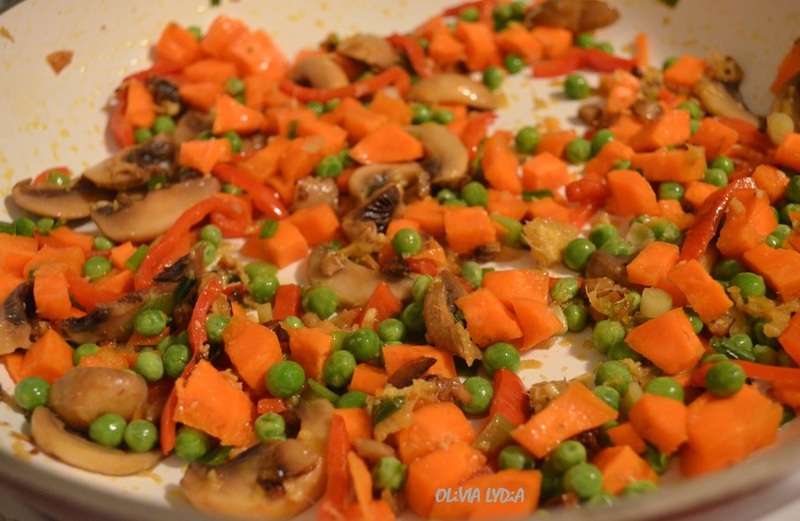 Next add the carrots and peas. Sauté for another minute. 5. Next add the miso paste, tamari, coconut nectar and broccoli. Sauté for another minute. 6. Now add the onion powder and cooked quinoa. Stir well. 7. 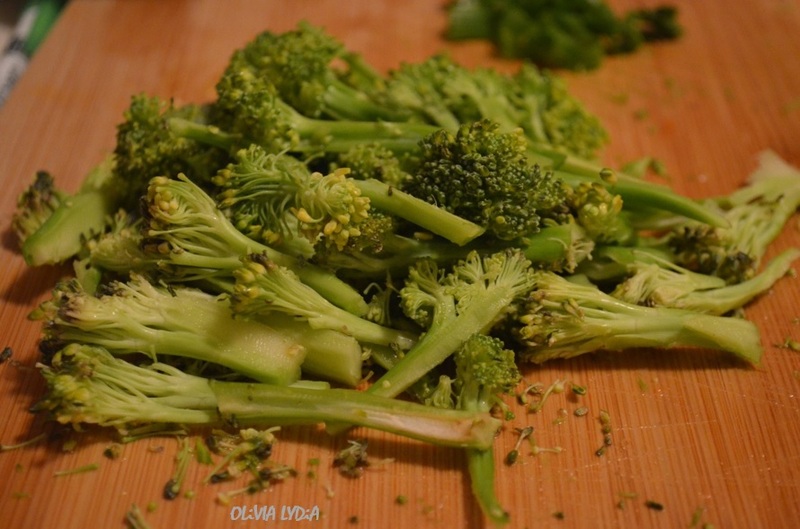 Stir for about 3 minutes, constantly, then serve! Yum! 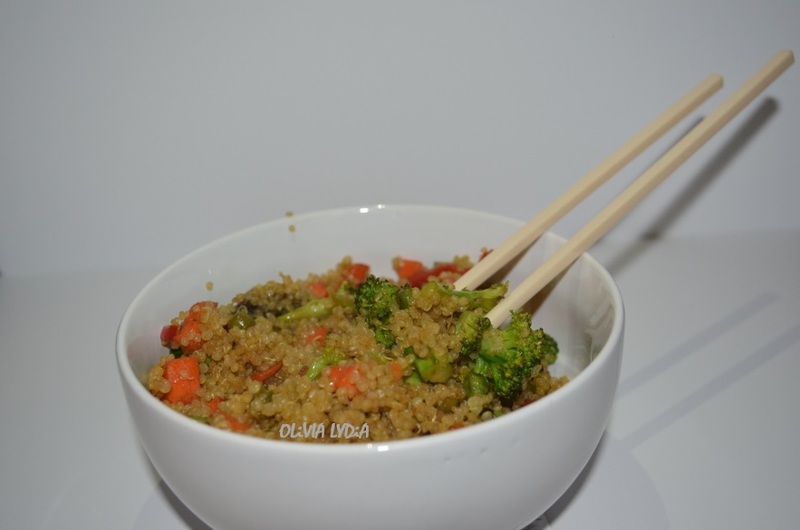 I love fried rice and such a great idea making it with quinoa!